The purpose of the Black Gospel Music Restoration Project (BGMRP) is to identify, acquire, preserve, record and catalogue the most at-risk music from the black gospel music tradition. This collection will primarily contain 78s, 45s, LPs, and the various tape formats issued in the United States and abroad between the 1940s and the 1980s. Additionally, any ephemera that may be of use to scholars – including PR photos and press packets, taped interviews, informal photographs, tour books and programs, newspaper and magazine clippings, and sheet music – will also be acquired as it becomes available. The ultimate goal is to have a copy of every song released by every black gospel artist or group during the target time period. A number of items from the Project are believed to be classified as works in the public domain or are of a copyright status that is inconclusive following extensive research. The full streamed audio for these items has been made freely available to users around the world. Click here to access items - including complete streaming audio - from the collection that are believed to be in the public domain or otherwise publicly available. The audio in this collection is presented in a streaming media format, so the songs are not available for download. You must listen to them in your web browser and we recommend Chrome for best results. Currently, the collection is not optimized for mobile use. The collection cannot be streamed from mobile phones or tablets at this time, but we expect mobile streaming to be available in January 2017. Due to copyright restrictions, some audio from this collection is only available to users on the campus of Baylor University and to those with university-issued credentials. If scholars or researchers would like to request access to additional items from the full collection and are not a current Baylor University student, staff or faculty member, email us at digitalcollectionsinfo@baylor.edu. NOTE: All items in the collection have publicly viewable metadata - information about the items in the collection like artist name, song titles, recording studio, etc. - that are viewable by all users, on or off-campus. We have made a few selections which have been fully cleared from the Project available via Baylor University&apos;s iTunesU account! Click the link below to access them. These items can be downloaded and played on mobile devices. We are proud to be partners with the NMAAHC, the newest museum of the Smithsonian Institution in Washington, D.C. Materials from the BGMRP are featured in the museum&apos;s Musical Crossroads permanent exhibit. 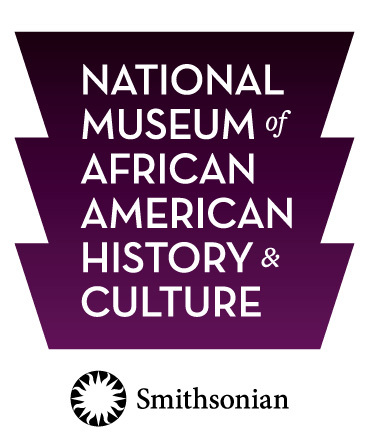 Learn more about the BGMRP and the NMAAHC by reading our blog post here. Please make sure you are using the latest version of either Firefox or Chrome to access the audio in this collection. Safari and Internet Explorer 11+ are experiencing intermittent difficulties with their audio players at this time. We apologize for any inconvenience and are working to resolve the issue as soon as possible. We recommend accessing the audio and images in this collection from a PC, laptop, or tablet. At this time, mobile browsing is not optimized for the collection and certain elements - especially audio - may not work with your specific device. In late fall 2016 we will be updating the system for mobile optimization. Thank you for your patience and understanding! As a result of the preservation work of the Black Gospel Music Restoration Project, these recordings are presented here free for personal, non-commercial use as a contribution to education and scholarship. Baylor University does not own the rights in this collection and therefore cannot grant or deny permission to distribute material in this collection. It is the user&apos;s obligation to determine and satisfy copyright or other use restrictions when publishing or otherwise distributing music from the BGMRP. If you have any more information about the music available from the Black Gospel Music Restoration Project, or if you are the copyright owner and believe this collection has not properly attributed your work to you or has used it without permission, we want to hear from you. Please email digitalcollectionsinfo@baylor.edu to get in contact with the project staff, including your contact information and a link to the relevant content. A close collaborator and early supporter of this project is Chicago-based collector and scholar Robert Marovich. Baylor University is deeply appreciative and thankful for Mr. Marovich&apos;s invaluable assistance by granting access to his extensive collection of American black gospel music recordings for use in the BGMRP. Click here to view the items added to the BGMRP from materials loaned by Mr. Marovich. To learn more about the BGMRP, please visit the project homepage. You&apos;ll find information on the project&apos;s history, how to loan/donate materials, and how to support the project financially. Click the image above to see an interactive map of known recording locations from the Project.